The purpose of the TECPDS is to support early childhood professionals by providing them with resources and tools to help them meet their professional development needs. 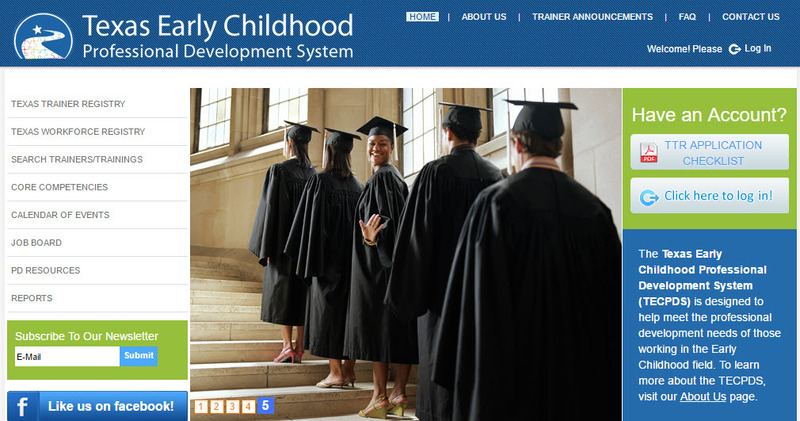 The TECPDS application provides a platform for approved early childhood trainers to post and manage trainings, for early childhood professionals to keep track of all of their education and employment history. It also allows administrators to track progress and generate aggregate reports.